Like most prophets, Ezekiel is a downer. A vision or two keeps things interesting, but basically you've got some warnings, laments, and judgements. Couldn't these Old Testament prophets have tried to spice things up just a little bit? Maybe some bucket drumming or balloon animals every once in a while? Everyone likes balloon animals, right? C'mon Zeke, throw me a bone! Like I said, Ezekiel follows the lament-judgment-destruction formula pretty close, but all of a sudden in chapter 37 it gets weird. Really weird. Out of nowhere, Zeke is led by God out to a valley that was apparently a dumping grounds for dead bodies. Some bodies must have been there for quite a while since it says there were a lot of bones. 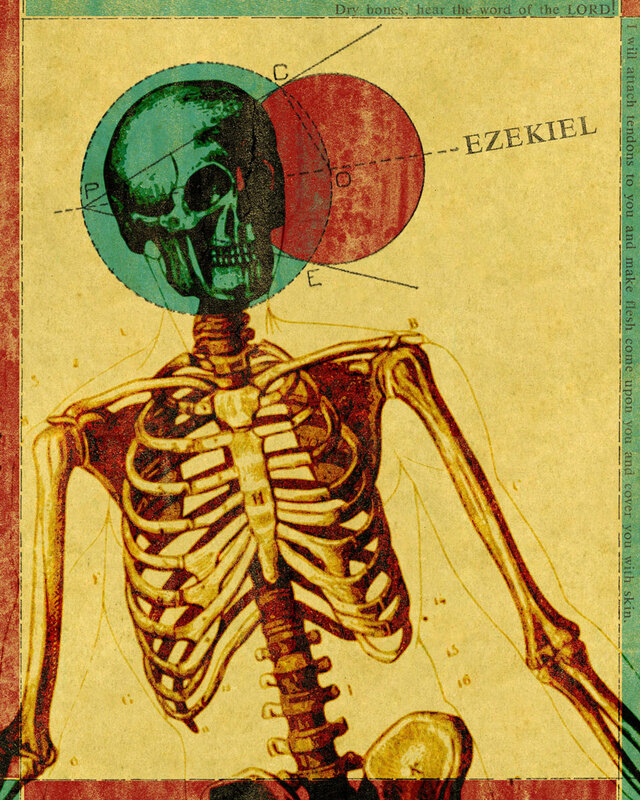 God has Zeke tell the bones to come back to life... and that's exactly what they do. It says "tendons and flesh appeared on [the bones] and skin covered them." If I was there, I'd have totally been like, "Are you kidding me, Zeke? You've been all Debbie Downer this whole time and now you are resurrecting bones?! Can you do that with an empty bag of Cheetos? Cuz' a bottomless bag of Cheetos would be sweet!" C'mon Zeke, throw me a breath! Zeke makes a total newbie mistake and only asked for the bones to come to life, but forgot to ask for them to have breath. Awkward! All these bodies with fresh tendons and skin staring and pointing at him. Mocking him with their breathless laughter. God has to remind Zeke to ask for breath, totally embarrassing him in front of the newly animated bones. He must have felt mortified. Next week, a roaring good time with Daniel.